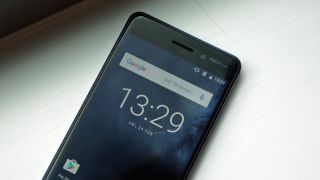 You still can't buy the Android-toting Nokia 6, Nokia 5 and Nokia 3, but HMD Global, the firm behind the new Nokia handsets, has confirmed exclusively to TechRadar that the trio will be upgraded to Android O (Android 8) once it's available. Android O is the next version of Google's mobile platform, and was announced at the search giant's annual IO conference in May. A spokesperson from HMD Global told TechRadar "the smartphones will get the Android O update once the new release is available from Google for their OEM partners, the same way HMD Global is committed to the monthly Android security updates". The Android O update is not slated to be available until Q3 2017 (September or October), and it's unlikely the new Nokia smartphones will get the update right away. The spokesperson told us they couldn't comment on the arrival date for Android O on the Nokia 6, 5 and 3 – but in the past it has sometimes taken manufacturers months to roll out new software. We hope it'll be available before Christmas, making the new Nokias some of the first phones to get the update.